Skye Gravestones | Peter Morrison. 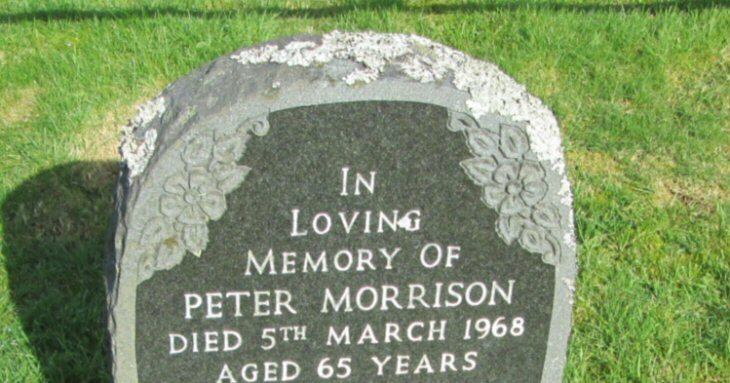 In.loving/memory of/PETER MORRISON/died 5th March 1968/aged 65 years/["recent"]. Picture Added on 18 January 2014.